Our St Petersburg Family dental practice philosophy is simple. We treat our patients like we and our family members would like to be treated. Our caring approach will help ease your fears and concerns about your dental care. Our experienced and courteous staff will help you maximize your insurance coverage and benefits, minimizing your out of pocket expenses. We even file the insurance paperwork for you electronically. Our St Petersburg family dentists are enthusiastic, gentle and caring, committed to our patients and unwavering commitment to excellence in dentistry. We practice CONSERVATIVE DENTISTRY. A treatment philosophy – The dental office where Less is More! Less removal of tooth structure leaves more of the natural tooth intact. Therefore, less anesthetic and restorative material is needed. Also, this decreases the chance that the tooth would require a root canal or crown. This shortens your time spent in the St Petersburg family dentist’s dental chair and your fee is lower. 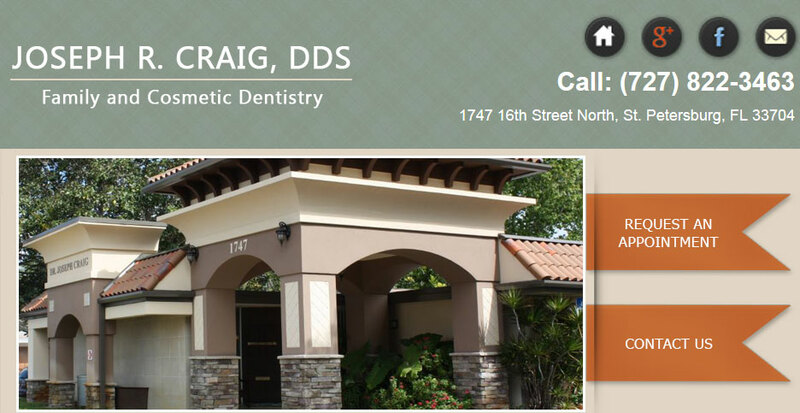 Consequently, no unnecessary crowns or root canals are performed..
Click to follow us on Facebook at our Tampa location.